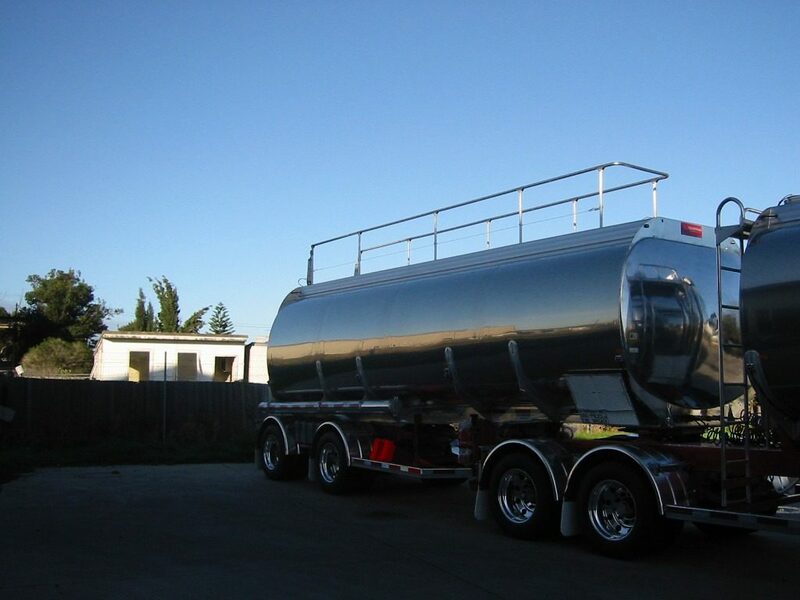 Holmwood Highgate is Australia’s longest running tanker manufacturer. 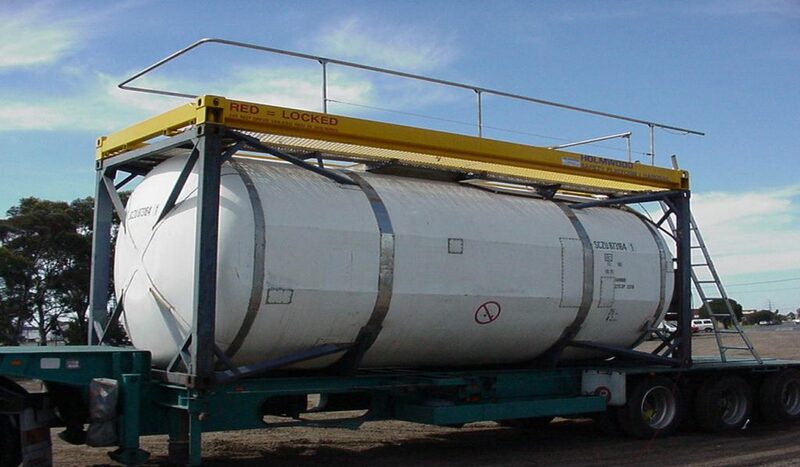 The Holmwood Group has developed and supplied state of the art safety systems to the road transport industry for decades, and continue to today. Safety at heights regulations came into force in 2004, and are still as relevant today, and propose challenges to businesses without the right systems in place. 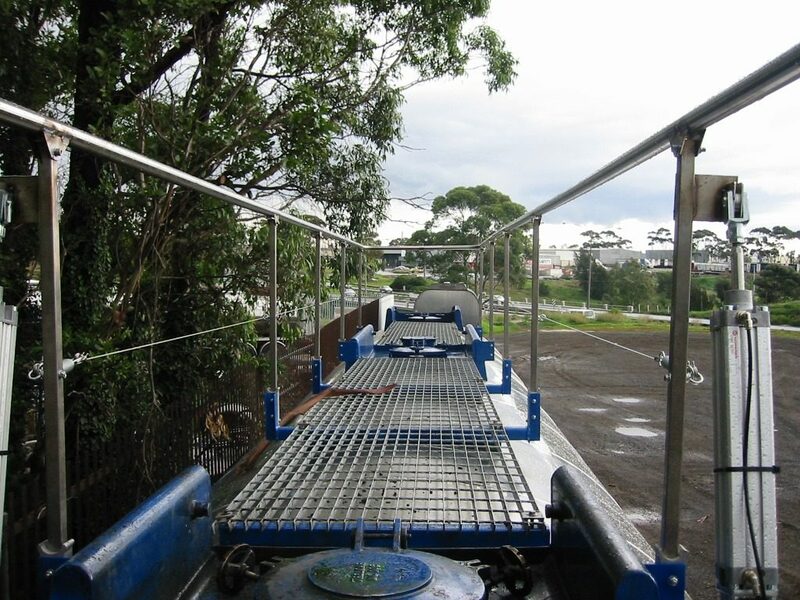 Pneumatically operated handrails offer the most comprehensive and operationally simple solution available. 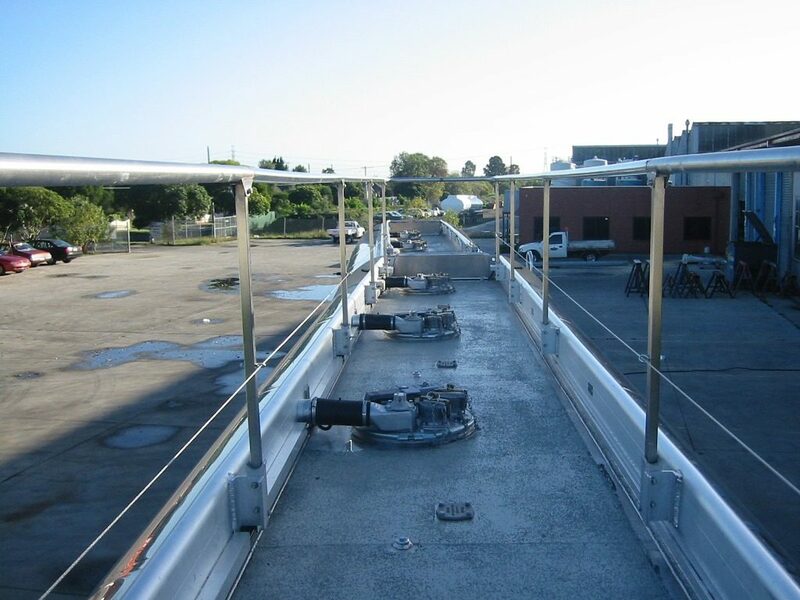 Holmwood have handrail systems designed to meet and exceed AS1657 standards. 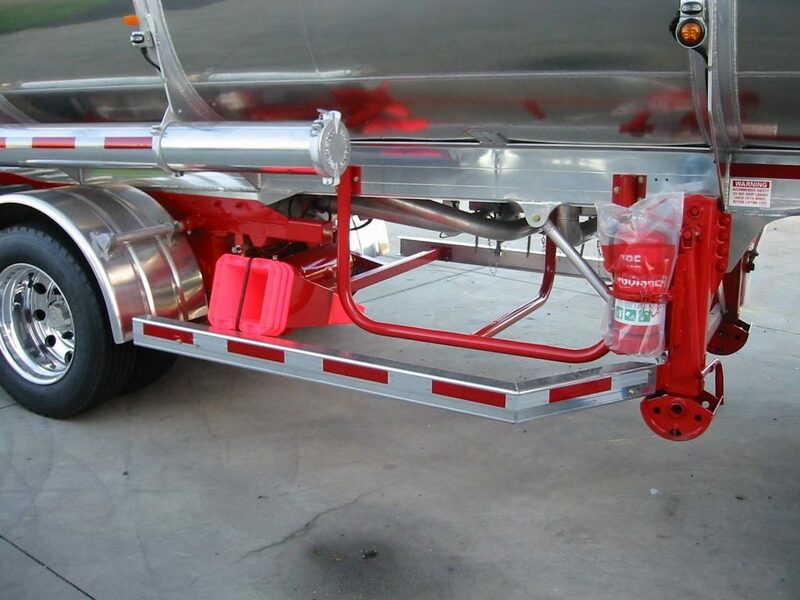 These can be sold in kit form, fitted to road tankers, or as our ISO container safety platform, providing a fall safety measure that does not impede operational access for the user. 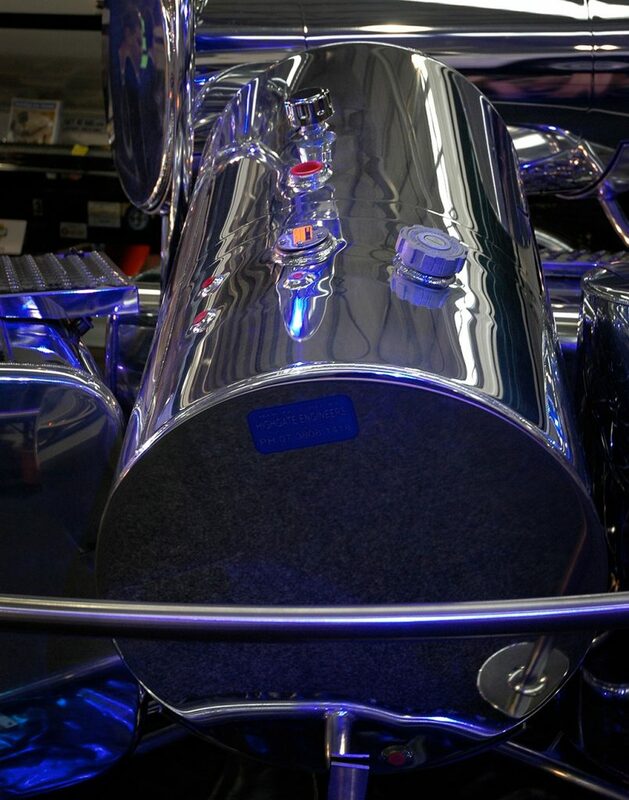 Tied into the truck air system, the brakes are interlocked and applied whenever the handrails are up, providing fail safe drive away protection. Of course, custom designed solutions featuring independent operation, and additional fold-out sections can be designed to suit your particular needs. 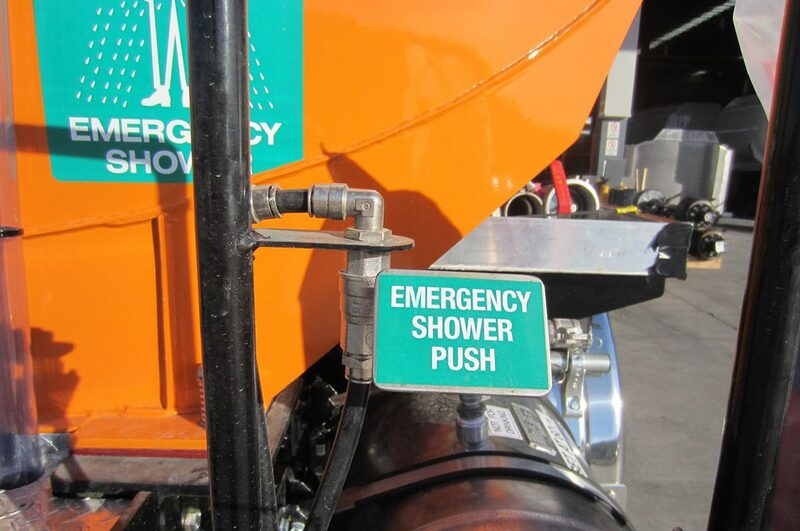 Working with hot liquids, such as bitumen, or corresive chemicals may call on a need to provide a safety shower in close proximity to the worker. 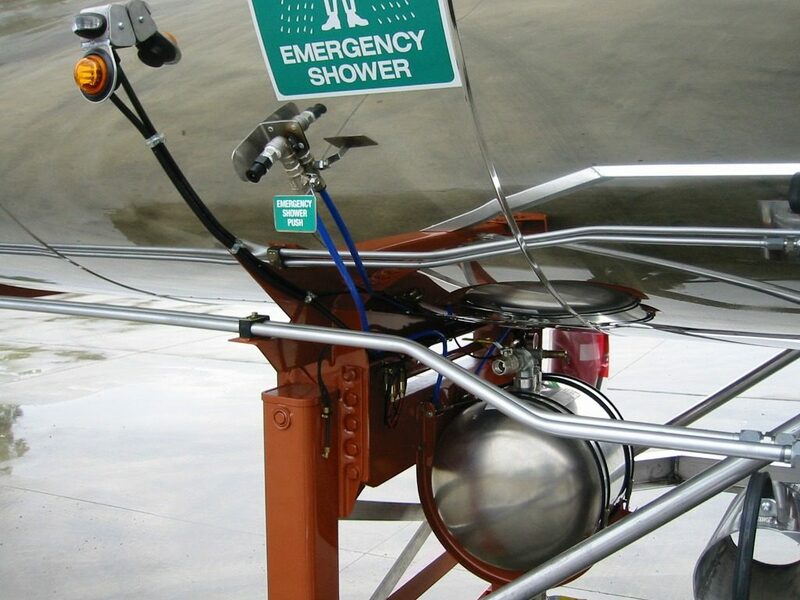 Holmwood have developed a safety shower system that is mounted directly on the tanker itself, being 100% available during loading and unloading, wherever that site may be. Other safety items such as safety cones, safety barriers, spill kits, signage and specialised PPE for operators and drivers are available for purchase and/or fitment. Call now to speak to a specialist.